Circa 1919, at the ranch near Mint Canyon. 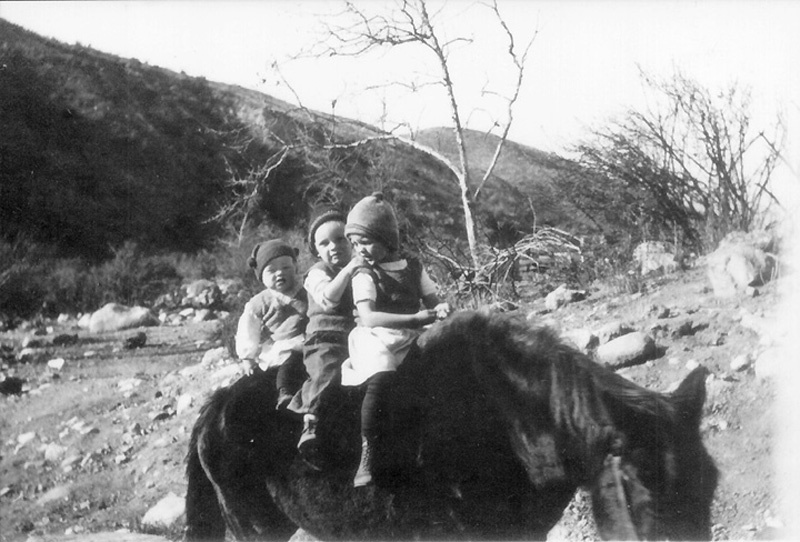 From left, siblings Dorothy, Raymond and Elizabeth Lewis, sitting on back of mule. KU1901a: 9600 dpi jpeg from copy print.